Berardo Landini e Giulio Mencaglia, 1642. 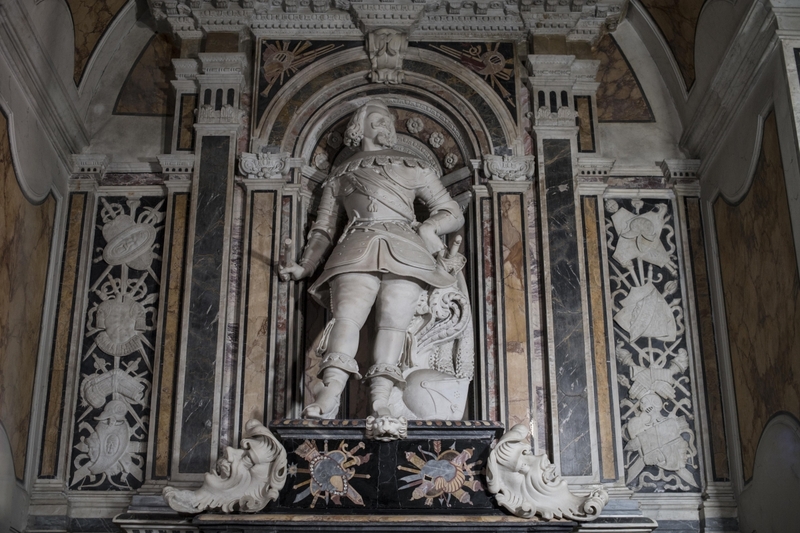 The funerary statue dedicated to the fourth Prince of Sansevero, who died in 1636, is unanimously considered the most striking of the seventeenth-century works in the Chapel. Long attributed to the Fanzago school, if not to Cosimo Fanzago himself, the Monument to Paolo di Sangro is in reality the result of cooperation between Berardo Landini and Giulio Mencaglia, as some archive sources discovered by Eduardo Nappi show, and which give weight to the previously expressed hypothesis by the critic Marina Causa Picone. 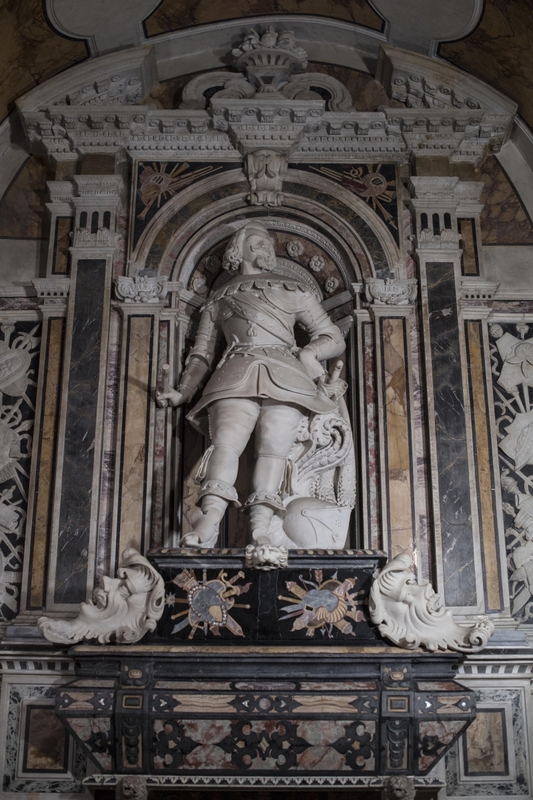 The polychrome marble, inlayed in mother of pearl, is of particular note, with its harmonious pilasters framing the agile and vigorous figure of Paolo di Sangro, avoiding any vain mannerism. 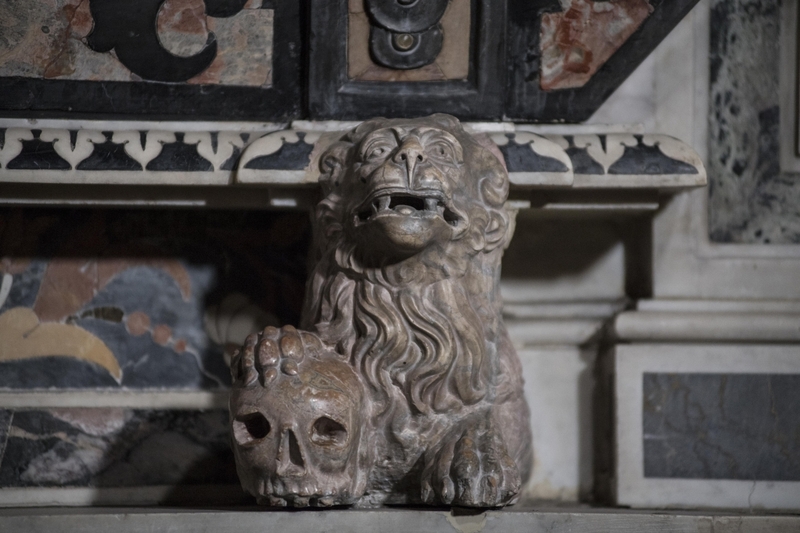 Among the decorative motifs are two masks of an almost plant-like appearance, placed to the sides of the sarcophagus, and two small busts of lions placed near a skull and an hourglass, clear symbols of transience. 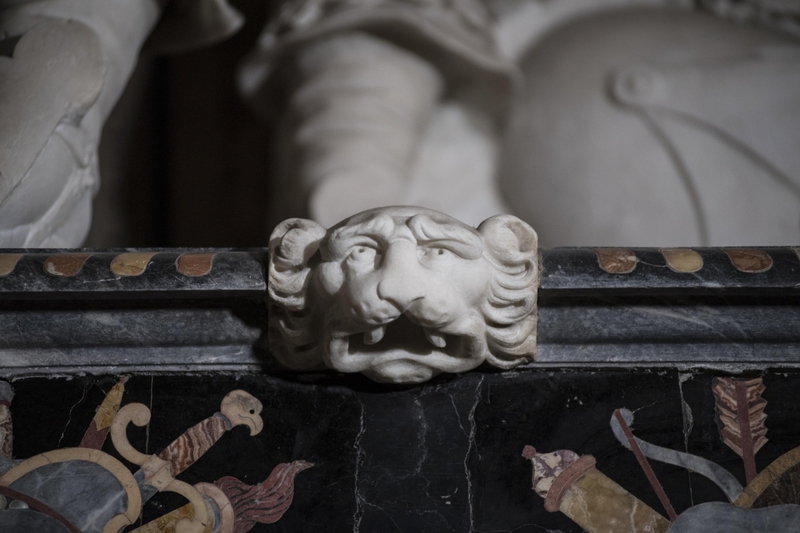 The inscription lists the virtues and the warring feats of the deceased, as well as the other decorations which Philip IV had bestowed upon him, including knighthood with the Order of the Golden Fleece. 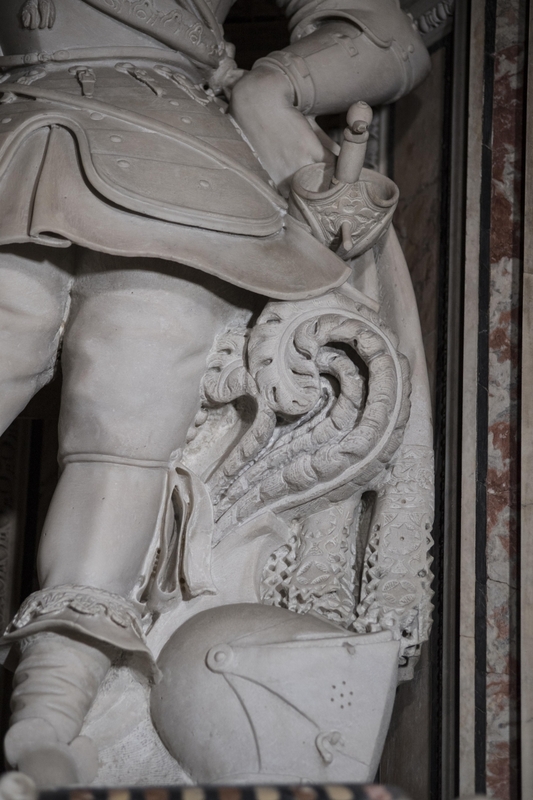 As a demonstration of the artistic merit of the monument, one needs only recall that Pompeo Sarnelli published an illustration of it – the first example of a work from the Chapel – in his Guide to Naples in 1685.